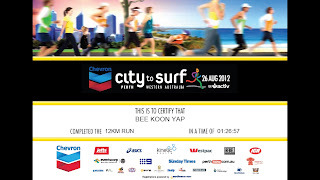 Call me a meanie or a bully coz I ran the 12km in the Perth City To Surf so that lo kong cannot participate in the full marathon. The truth of the matter is lo kong's still recovering from his injuries ... if he continues to itch running the full how will he ever recover totally? 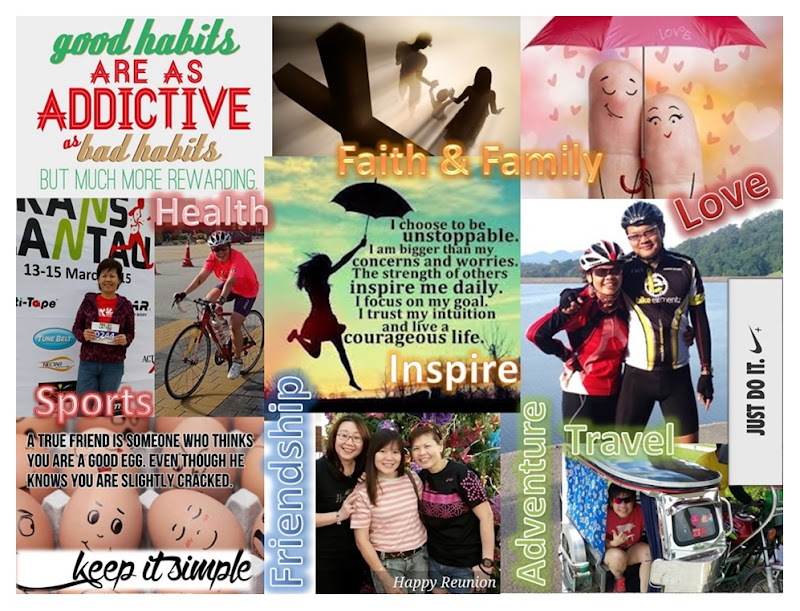 I do not have much passion for running frankly although I do run regularly in order to keep my diabetes under check. The closest I've ever participated in any running events had only been twice in the relays. This time our deal was for lo kong to pace me for the 12km ... this means he'll still get to run some. Not too deprived I think and he'll also take over as the cameraman. It was a fine sunny day on the race day for my first 12km race. The continuous cold breeze was perfect to prevent me from sweating profusely like when back in our hot country! The route was very hilly ... I counted 4 steep slopes. There were ample water stations at every 2km which lo kong insisted I stop. It was a very well-organised event with over 45,000 participants. Thankfully, I finished the race in one piece at 1hr 26:57mins but with a slight sunburn on my shoulders ... should have worn a sleeved T! I do believe I could have achieved my targeted timing minus the hills and photo-shoots. Anyway, after finishing our race we waited for Uncle Chew who completed his full marathon at 6hrs 07:45mins. As the all the categories started in the city but ends elsewhere outside the city, the organizers had prepared free bus transits for all participants back to the city center.